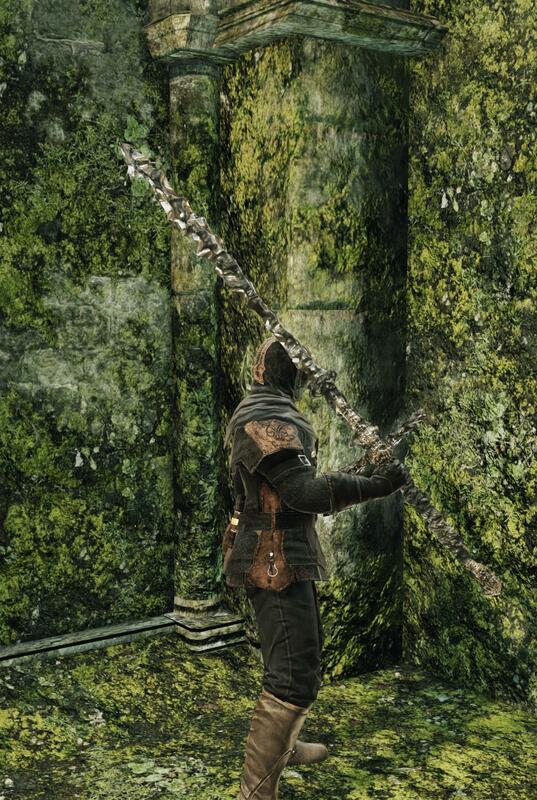 Ultra greatsword of the Ivory King of Eleum Loyce. Wield it with both hands to realize its full strength. of Forossa, famed for its god of war. be it for his homeland or his people. Trade the Soul of the Ivory King and 5,000 souls with Weaponsmith Ornifex. Every two handed attack with the sword damages its durability by ten points. This can be lowered down to five with the Bracing Knuckle Ring +2. Prior to Calibrations 1.12, you could begin certain swings, then perform a roll cancel, causing the magical aura to hit your opponent while rolling into them. This was fixed by adding a delay before the magical aura appears on certain hits. The information in the weapon path tables is actually incorrect, as the Ivory King Ultra Greatsword has innate magic damage.